The African Union has launched an advocacy campaign to encourage more countries to ratify the African Continental Free Trade Area (AfCFTA), ahead of the January 2019 deadline to implement the agreement. A business guide developed by the International Trade Centre (ITC) was launched to help the private sector and policymakers better understand and navigate the agreement. Albert Muchanga, the AU Commissioner of Trade and Industry, said the bloc was confident of getting the 15 remaining member states to ratify the agreement by December. 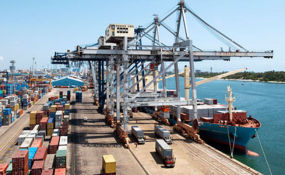 So far, Kenya, Rwanda, eSwatini, Chad, Niger, Guinea and Ghana have ratified the AfCFTA, while three countries -- Egypt, Kenya and Uganda -- have ratified the Common Market for Eastern and Southern Africa (Comesa), Southern African Development Community (SADC) and the East African Community (EAC) Tripartite Free Trade Area. At least 22 ratifications are needed for the AfCFTA to enter into force and 14 are required for the TFTA. Comesa Secretary General Chileshe Kapwepwe said overlapping activities between the TFTA and the AfCFTA needed to be harmonised. Ms Kapwepwe, who is the chair of the TFTA Task Force, said closer co-ordination between the AU and the regional economic communities will be key to successful implementation of both agreements. "The narrative of the regional economic communities being the building blocks of the ACFTA should be promoted to ensure complementarity," she said.